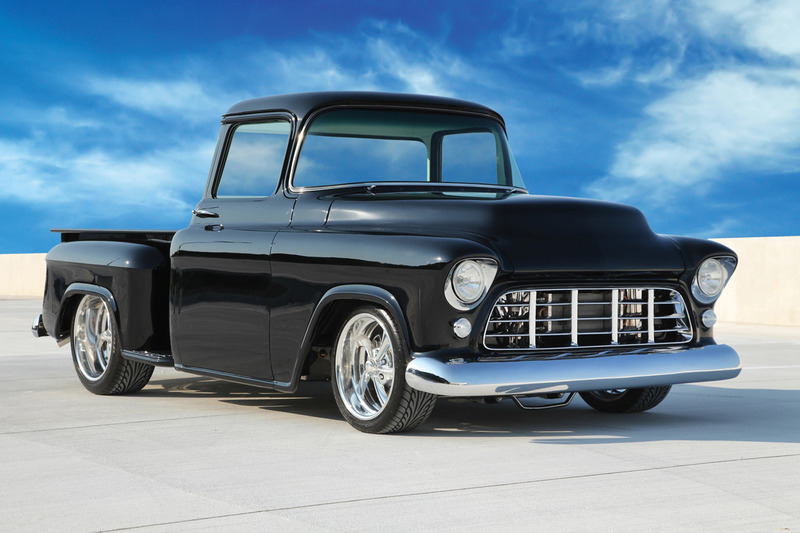 This gem of a vehicle, a 1959 Chevrolet 3100 Custom Pickup, sold for $121,000 in Scottsdale, Arizona in 2014. The truck is completely rebuilt, keeping nothing but the body from the original vehicle. It was built from the ground up beginning with a high-strength chassis complete with a four-link setup, chrome 9-inch Currie rear end with 3.70 gears and a Detroit Tru-Trac differential. A look inside reveals a white leather interior with black accents, added air conditioning and green-tinted glass.